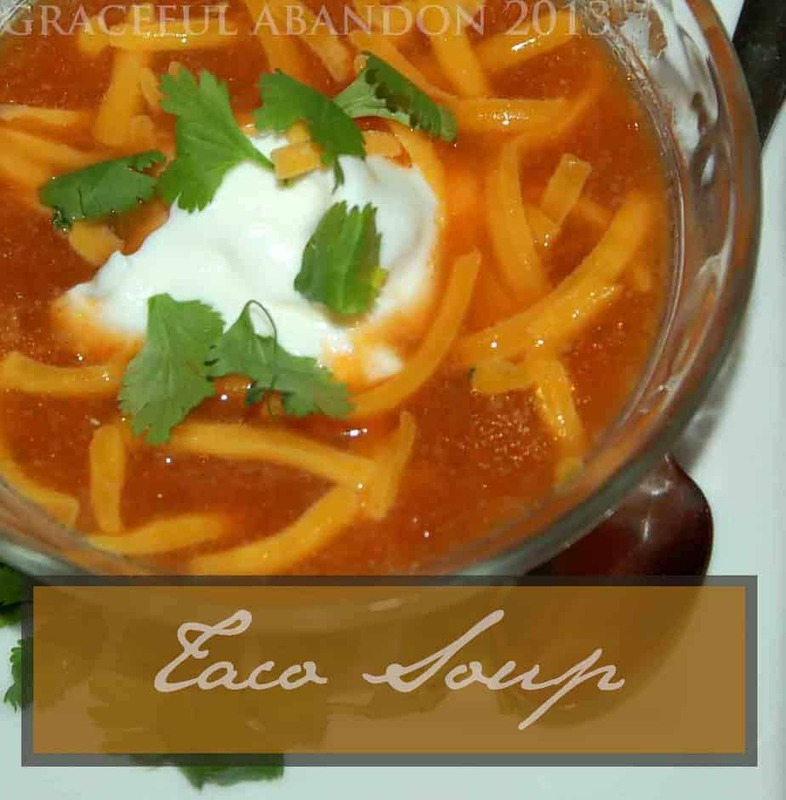 One of my most popular posts ever was my “emergency menu” plan that fed my family of 8 (yes, two parents and six kids and the occasional guest!) for just under $100 and remained nourishing and delicious at the same time. I heard from a mom this week from Oregon that used it and was able to follow it for just $75 because she had a few of the staples already on hand. I loved that note this week! This week’s plan comes in right at $119 (for 8 people) by my calculations at local prices, although we have a lot of the ingredients in our pantry already and will spend under $90 (my guess is you can tweak the ideas and work with your pantry as well!). Here is another attempt at a super frugal plan. Our entire family is sugar-free and we focus on nutrient dense foods whenever possible. Weeks like this one that are lean have some meals that might not be favorites but are certainly still enjoyable. After all, family meal time is more about the people around the table and the fellowship that ensues than the meal on the plate (although that adds to the celebration). Weeks like this are very simple, and we go back to basics. But they are yummy and meals we enjoy. For the last night of the week, use up your leftovers!!! NO WASTE!!! 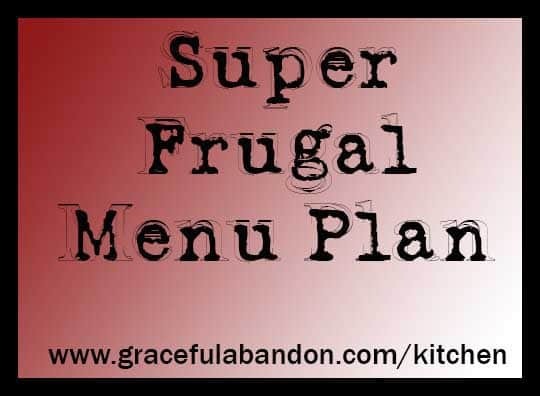 Remember, creating a frugal menu plan for your family doesn’t have to be hard. Simple foods that are easy to make and yummy to your kids are all you need. 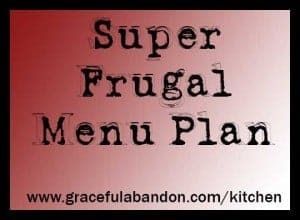 And mama, it’s okay to create your own Trim Healthy Mama frugal meal plan for you and feed them off-plan foods, if that’s what your budget demands! Please create a place where someone can sign up to receive your posts via email. I, too, am a busy mom and don’t have time follow blogs any more, but I can quickly sort through posts that are relevant to me in my email inbox. Your menus and stories are inspiring. Please see the link on the top right sidebar! Hi! I so appreciate your affordable menu ideas for THM. I didn’t grow up on beans being used much and I”m trying to utilize them with our family of 7. You have inspired me to try 🙂 I looked at you black bean link….what is greek cream cheese? Would 1/3 less fat cream cheese work and keep me on plan or should I just use greek yogurt? Thanks so much! Thank you! This is perfect timing for me! We’ve had so many medical bills and just found out we owe a LOT in taxes this year because my husbands employer didn’t take out any federal.. Just one of those weeks.. So THANK YOU!!! Where is your recipe for Mongolian Chicken? I have made it four times and my husband loves it. Is it a “S” or an “E” when using the Dreamfield noodles? If you ever want to search the site, there is a search feature on the right, immediately under the email sign up for future help. This would be an “S” meal for those who follow Trim Healthy Mama. This is sooo helpful!!!! Truly amazing! Thank you! I hope your pregnancy is going well! I made my list. I’m about to try this this week. Headed to get groceries tonight. I really need a cheap grocery week. For the lunches you have rice and lentils, how do you prepare them? Together? Separate and serve together? Thanks for this awesome menu plan. My sweet little family of 9 will be blessed by your efforts this week. I’m so glad! We cook both together in the Instant Pot (cook for the rice; the lentils are fast). Sometimes we add fire roasted tomatoes, corn, garlic, and spices (turmeric and taco seasoning are faves) and other times we just let them top with cheese, soy sauce, or something else they ask for. We’ve cooked them on the stove top together also.